Teltumbde was arrested early on Saturday from the Mumbai airport. The Pune Sessions Court on Saturday ordered the release of writer and academic Anand Teltumbde hours after he was arrested from the Mumbai airport in connection with the violence that broke out last year in Bhima Koregaon. The court called his arrest illegal. “I welcome the decision. But what police has done, the arrest and all the drama, is objectionable.” Teltumbde told reporters, according to ANI. Teltumbde was arrested on Saturday, a day after a court in Pune rejected his anticipatory bail application. The Supreme Court had on January 14 granted Teltumbde protection from arrest for four weeks and allowed him to approach the competent authority for regular or pre-arrest bail. The protection was set to expire on February 11. Teltumbde’s counsel had said they would file an appeal in the Bombay High Court but he was arrested before he could approach the High Court. 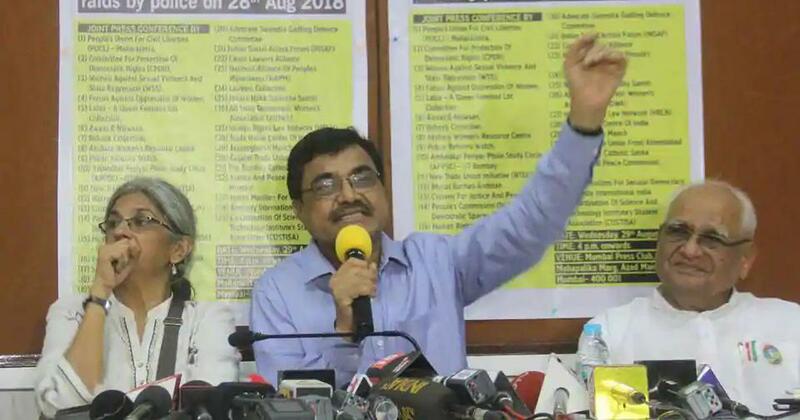 Judge said that the arrest of Anand Teltumbde is illegal and he has got protection till 11th Feb 2019 from the Supreme Court. Temporary relief, but let us please continue being vigilant & condemn all the arrests of every outspoken citizen - everyone targeted by State’s repression. To not condemn & be silent is violence. 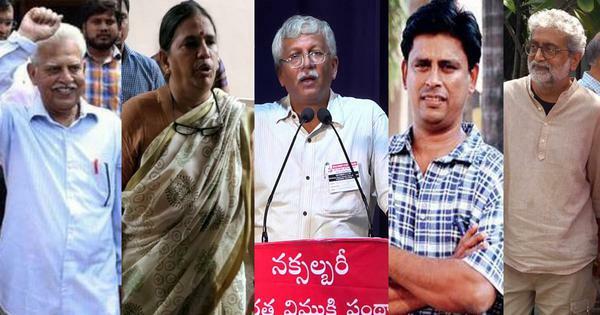 Five activists – Shoma Sen, Surendra Gadling, Mahesh Raut, Rona Wilson and Sudhir Dhawale – were arrested by the Pune Police in June and five more – Gautam Navlakha, Arun Ferreira, Vernon Gonsalves, Sudha Bharadwaj and Varavara Rao – were arrested in August. They were accused of being involved in an event that preceded the violence between Dalits and Marathas at Bhima Koregaon. The five activists arrested in August were subsequently placed under house arrest. Teltumbde and activist Stan Swamy’s homes and offices were searched. The arrested activists are accused of masterminding the violence and of having links with the banned Communist Party of India (Maoist). After the Supreme Court rejected Teltumbde’s appeal to quash the FIR on January 14, he wrote an open letter to the public, asking for support. A group of Ambedkarite organisations, alumni of the Indian Institute of Management, Ahmedabad, and the All India Forum For Right To Education have extended support to the activist and demanded the withdrawal of charges against him.